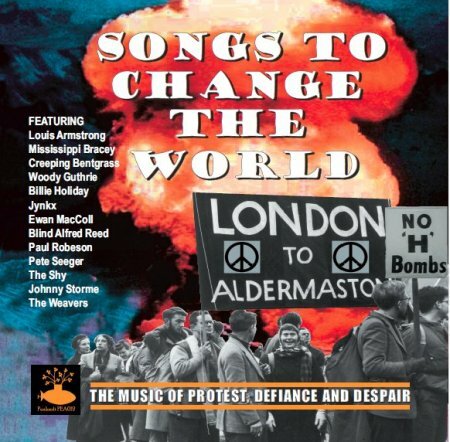 This page accompanies Peaksoft's CD PEA012, Songs To Change The World. The complete vocal version (almost 9 minutes), which is discussed in the sleeve notes. Name me someone who's ridiculous, Dannie. Then he's a fool! Boo! Nazi Fascist supremists! Name me a handful that's ridiculous, Dannie Richmond. At the age of 19 in 1967, PF Sloan spent a sleepless night writing Eve of Destruction. Initially, it was widely regarded as an attempt to hitch a ride on the Bob Dylan bandwagon with a protest song that did not burden itself with the often impenetrable Dylan narrative. It was turned down by The Byrds, who had injected a pop feel to Dylan's Mr Tambourine Man, but recorded by The Turtles as an album track. 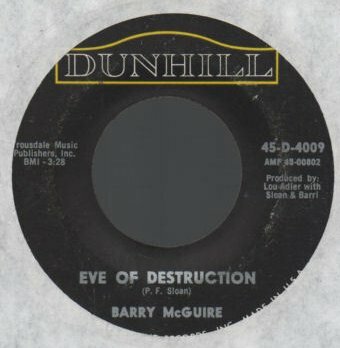 Barry McGuire, who had recently left the New Christy Minstrels, was booked to lay down a vocal track for the Dunhill label, with Sloan on guitar, Hal Blaine on drums, and Larry Knechtel on bass. He performed one take, reading the words from a piece of paper, then left the studio, as it was intended that a polished vocal track should be added later. However, the recording was leaked almost immediately to a Los Angeles radio station, which played it (complete with an "aaaah" when, according to pop music legend, McGuire was unable to read the lyrics) and a worldwide hit that sold six million copies was born. The song has since been recognised as a much more sophisticated and perceptive work than first suggested, in which Sloan demonstrated great inventiveness in blending observations on man's failings song into a commercially appealing record. The reference to "Davis" is thought to be a declaration of support for an American Labour Party candidate for the election of the Mayor of New York in 1949 and it has been catalogued as such by the Bear Family publishers. However, no "Davis" was among the candidates. To complicate matters further, Constance Jackson of Permanent Productions, which has issued the album pictured left, states that the artist on Oh Freedom is not Hope Foye. However, another song, Skip To The Polls, is ascribed to Hope and The Weavers (a group that included Pete Seeger) in connection with the New York election. This includes references to "Fli-flop Willie", presumably the Democrat William O'Dwyer, who was the eventual winner, Republican Newbold Morris, and the group's favoured candidate, "Marc" - the Labour Party's Vitio Marcantonio, who finished bottom of the poll. Hope was another prominent artist who was blacklisted in the McCarthy era for her political views, as her songs often promoted peace and justice issues. 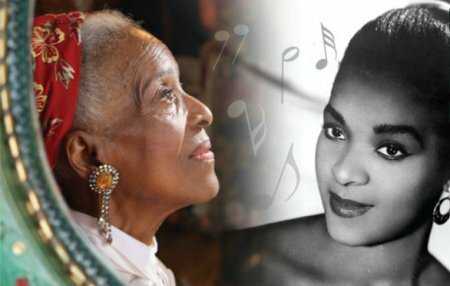 Her passport was withdrawn, but with the help of friends, she escaped to Mexico, becoming there the first black female musical television star. She stayed for ten years as a concert soprano, before moving to Europe for a further ten years, studying and training to become a classical opera soprano. Hope returned to the United States in 1978 after an absence of 25 years. An album, The Best Of Hope Foye, was released in the United States by in 2011. The album and DVD can be bought from Permanent Productions. Image reproduced from promotional material for DVD.